A Felly Van Vliet Mystery - last of the series! Felly van Vliet is back in the Netherlands and planning her wedding with fiancé, Kieran McNeela, now settled in and working as junior partner to a small Leiden law practise after graduating UvA (University of Amsterdam) and passing the Bar. While browsing through an old book at a second-hand book-store, Felly comes across a note that reads as a confession of a murder committed during a Dutch student revolt in the 1970’s, and she picks up on this cold case, again taking her overseas but this time to the US. The unravelling of a murder turns into a tantalising search that unearths some deeply buried family secrets in this last in the Felly van Vliet mystery series and sequel to 'Death by Chopstick'. 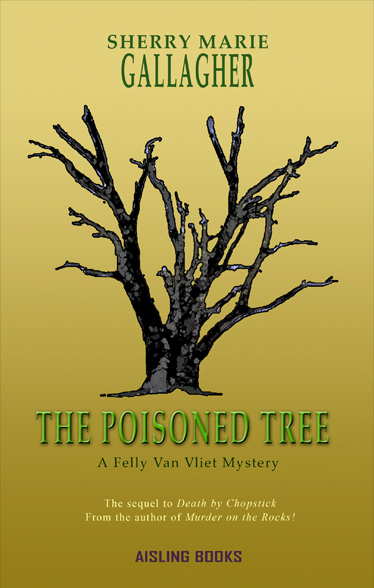 'The Poisoned Tree' is a fun and suspenseful read!